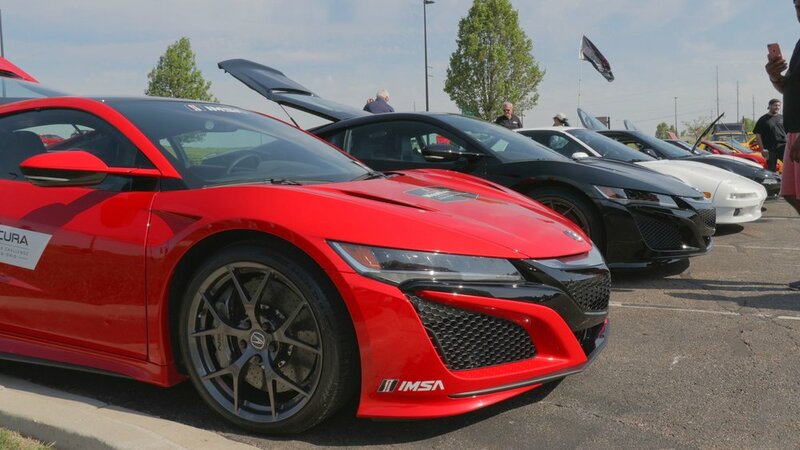 On the third meet of 2018, the NSX club descended on DCC making a grand entrance and sporting the wide variety of the models and generations that make up this unique club. What a welcomed site to compare and contrast all of the finer details. It was HERE in the flesh. A real, daily-drivable, nearly stock NSX which… (wait for it)… won Pikes Peak International Hill Climb in the Time Attack 2 (TA2) category in 2016. 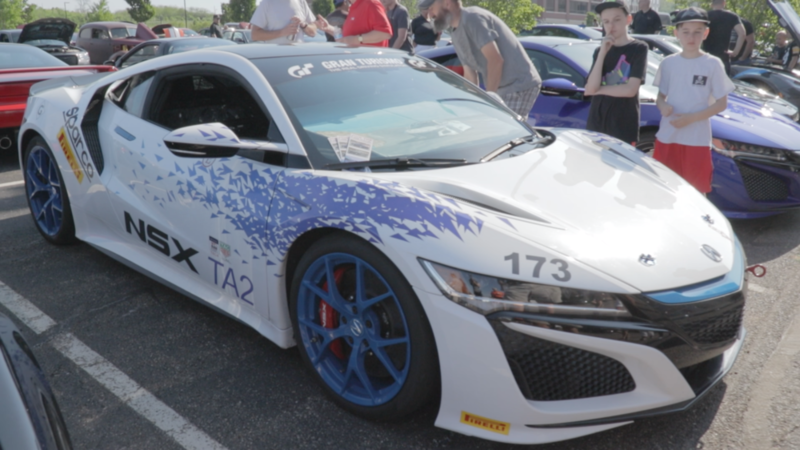 Piloted by Nick Robinson, a factory hot shoe and member of the North American NSX R&D team, sprinted the 12.42-mile course in a swift 10:28.820. Understanding this is a race to the clouds, the hybrid powertrain was a perfect match to the 14,115’ elevation at the top. Short of the safety features this is a stock car. We are thankful this car and Nick were in attendance. Be on the look out, and hope it comes around again. You don’t want to miss this twice. P.S. This wasn’t the only NSX of notoriety that day. 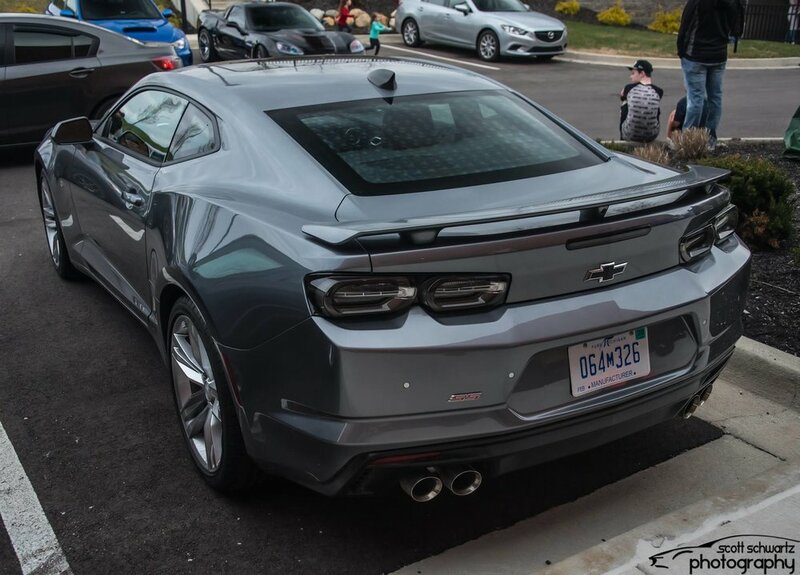 Just days after the official press release, Chevrolet appeared with the first worldwide public debut of the 2019 Camaro SS. It’s no joke when we say the first event each year brings out the masses. In, 2017’s first meet was so large in fact, we had to permanently change venues to accommodate. The size of the crowd was of no surprise, but it’s cars where shocking. As someone once said to us, ‘It’s like automotive mating season, and [Dayton Cars and Coffee] is first indicator of spring’. 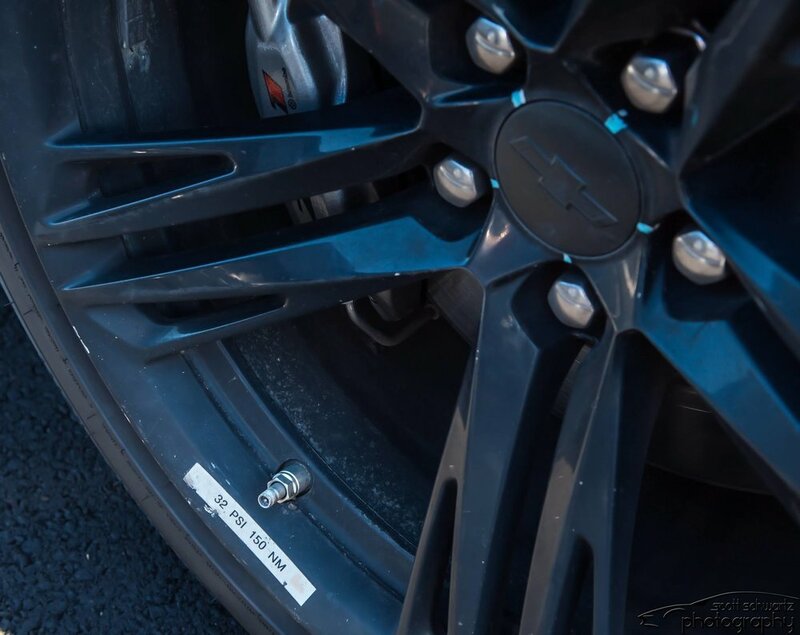 Clearly, there was truth to this, and the Camaro team at Chevrolet felt the same. They decided the world should see the car for the first time at Dayton Cars and Coffee. Consider us honored. Though in some ways unassuming, the ‘flow-tie’ front end was a clear draw for those who knew exactly what they were looking at for the first time. This is not the first time the team from Detroit have graced our meets. 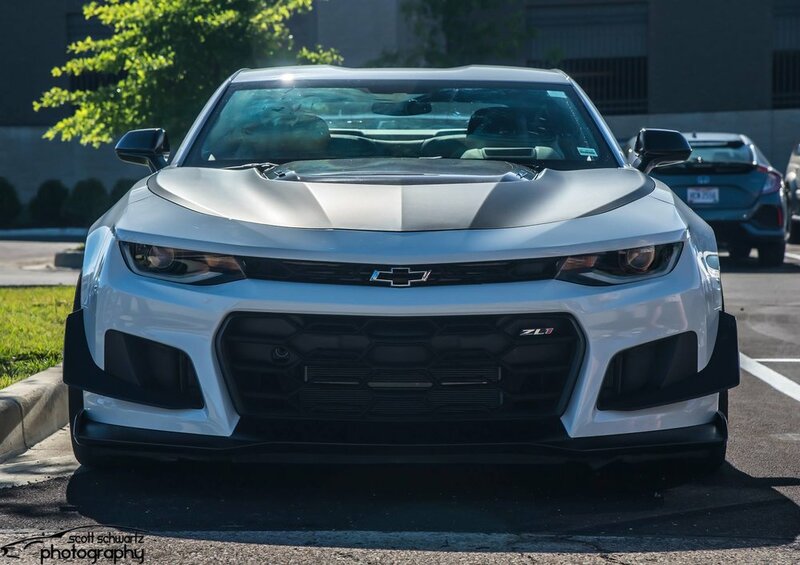 In June of 2017, a Camaro ZL1 1LE, shortly after their whipping, fast record run at the ‘Ring’, showed up in the aisles of our meet. It was the very definition of low-key cool. 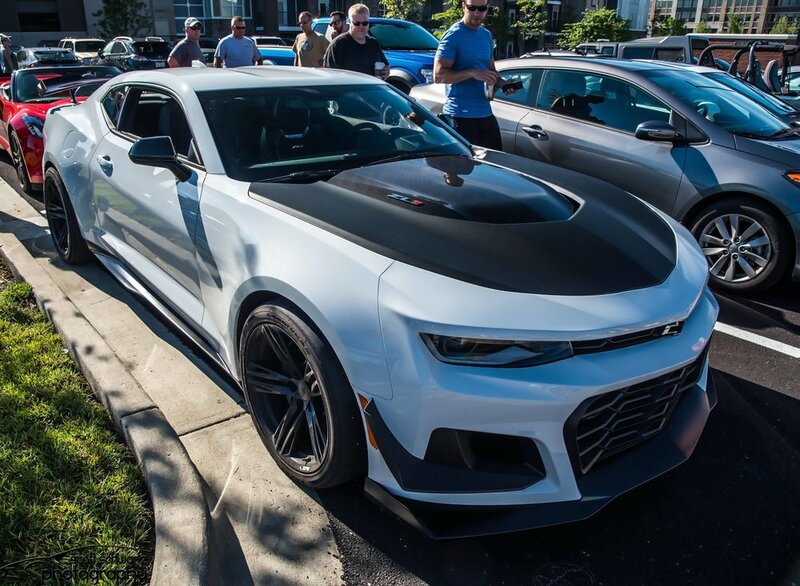 Camaro team is back again with the fresh release of the 2019 Camaro SS. This mid-generation update includes some styling and minor adjustments across the line, but the most significant differences are rendered in the SS model styling. From the photo you can see the hood louvers have been modified. 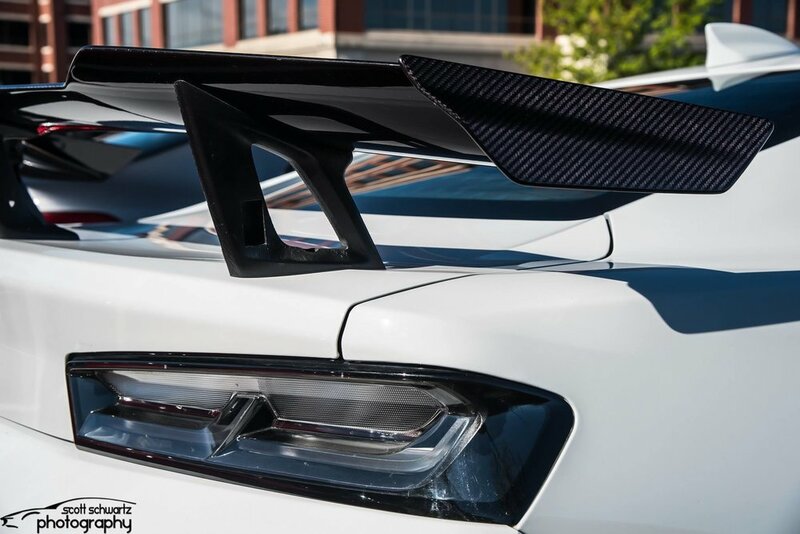 Ditched are from the two ‘port style’ openings on either side as seen on the 2018 model, instead they’ve made use of center-mounted venting, which draws styling cues from the from the very aggressive, new Corvette ZR1. The taillights have changed and so have the lines of the car, ever so slightly, but the big changes on the visual characteristics are apparent with the ‘flow-tie’ located in the middle of a spanning, black bumper across the front end of the car. This seems to be the most polarizing element of the design. I have a feeling, this will may get the bowtie moved and potentially get a body color treatment in the future. I’m sure the SEMA market is already preparing. Aside from aesthetics, the mechanical upgrades are evidently getting the 10-speed automatic transmission from the ZL1 and a line-lock making it easier to ‘warm the tires’ as easily as a Ford Mustang GT. 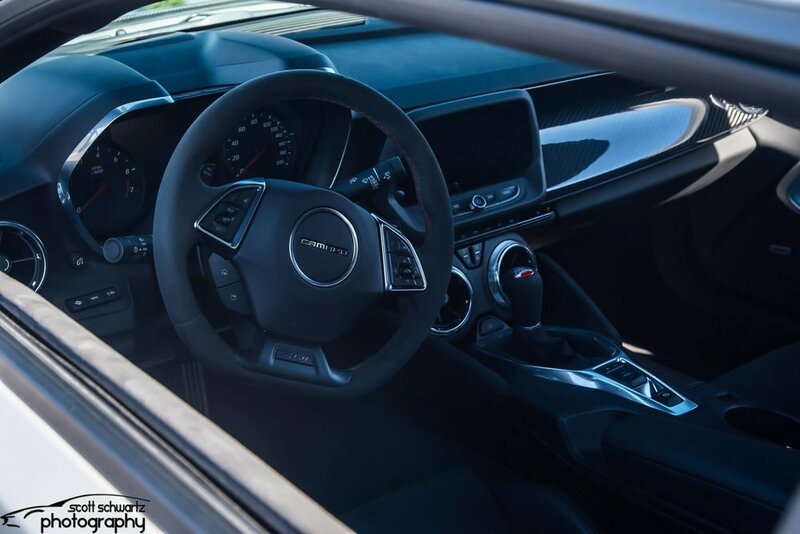 In the manual configuration, you can expect to see another gear up top, giving it 7 speed to work with on track and street.We are honored to be the lucky audience granted a chance to see this American muscle car before the world. This facelifted version of the gen-six Camaro was a welcome addition to the wildly diverse crowd we have grown accustomed, but this was something special. The Chevrolet Camaro team could have done a FIRST public debut with this car anywhere in the world. 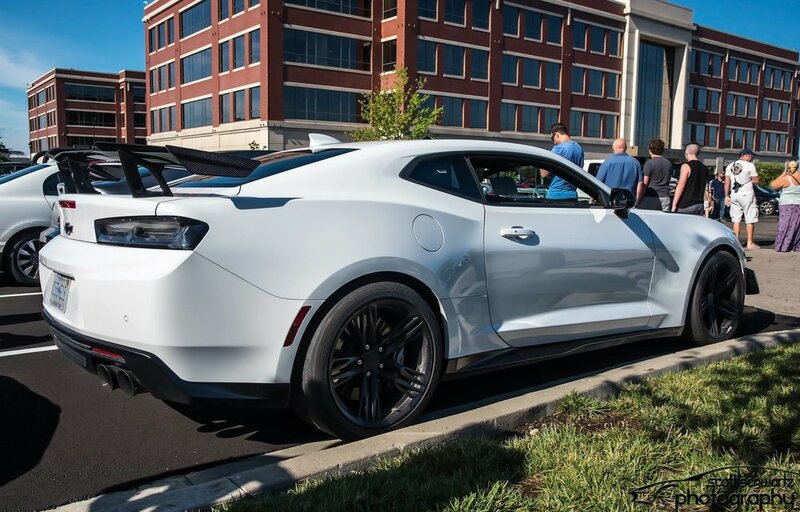 They chose Dayton Cars and Coffee, and for that, we are truly honored. Thank you again to the team that made this possible.